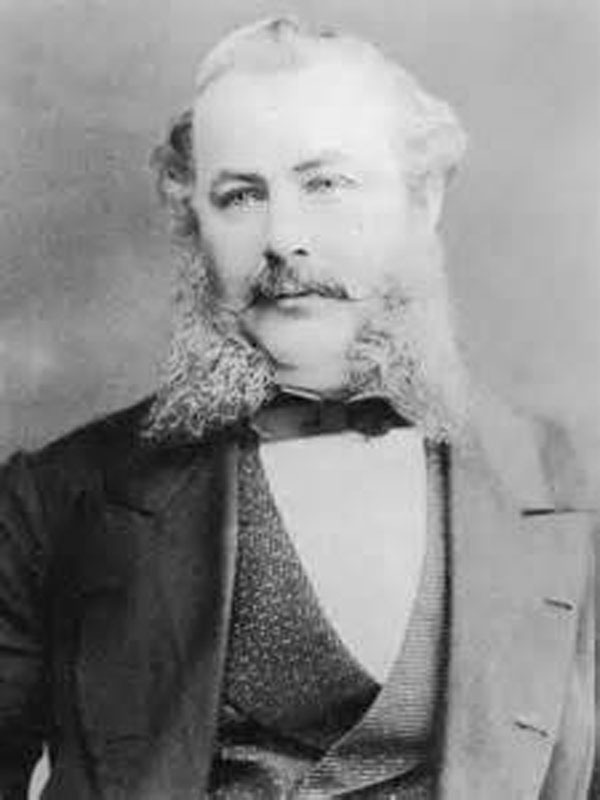 Robert Francis Fairlie was born in Glasgow 1831, and studied railway engineering at Crewe and Swindon, working in Ireland and India before returning to London to work as a consultant engineer. Fairlie met England in 1861 and was very taken with 17 year old Miss Eliza Anne England, eloping with her in 1862, claiming to have George’s permission. On their return England sued Fairlie for perjury, losing the case because Eliza had been born out of wedlock. The families were eventually reconciled. Fairlie patented a design for a locomotive which had two boilers back-to-back on one rigid frame, with two four– wheeled bogies connected to the boiler by flexible steampipes. The result was a powerful unit (an 0-4-4-0) with great adhesion and the ability to pass round the tightest of curves. In 1868 the narrow gauge Festiniog railway decided to try the Fairlie design and England built the locomotive Little Wonder. This was a huge success and was demonstrated to engineers from all over the world. With George England’s son, Fairlie took over Hatcham as “The Fairlie Engine and Steam Carriage Co.” to build locomotives to his design and his patent ‘Steam Carriage’. George Junior’s early death, and the lack of orders, made Fairlie decide to close the works. Apart from the steam carriage and Little Wonder, only four locomotives were produced under the new company name. Hacham was sold and he formed ‘The Fairlie Engine & Rolling Stock Co.’ to work as a consulting engineer and grant licences for locomotives to be built under his patent by other makers with more than 330 patent locomotives being built and exported to 21 countries in every continent with railways. In 1873 Fairlie went to Venezuela to survey a new line. He contracted sunstroke, a fever and blood poisoning there and never fully recovered, though he continued to work, travel and carry out his business. Robert died on 31st July 1885 and is buried in West Norwood cemetery. For further detailed information on Robert Fairlie, please click on the link below to visit the archive section of this website which is updated regulary with new information as it comes to light.